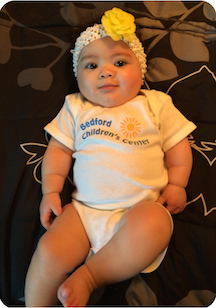 Bedford Children's Center offers a nurturing learning environment with age-appropriate activities for infants, toddlers, preschoolers, and school-age children. With years of dedicated experience, BCC and its staff partners with parents, their children, and the community to provide a childcare "village," ensuring that every child has the best possible experiences each and every day! We take great pride in knowing that you put your children in our care, and you can trust that everything we do is focused on their well-being and development. Our goal is to help support you in your journey as a family.